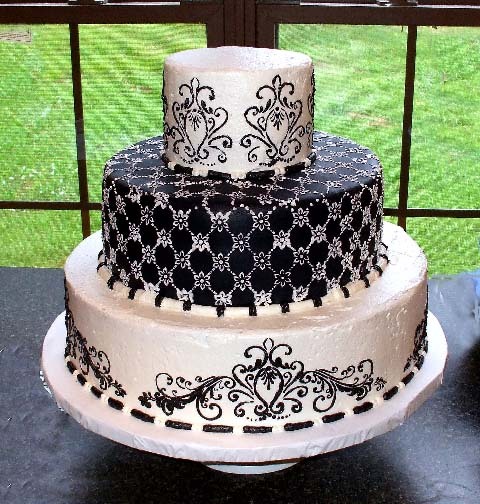 "I wanted to let you know how absolutely beautiful that cake was, you did a really amazing job. I got so many compliments at the wedding. My mom brought her pictures to have them developed and she said the photo people asked her who made my cake, because they all thought it was just stunning; and they had never seen anything like it before. It was delicious too!"